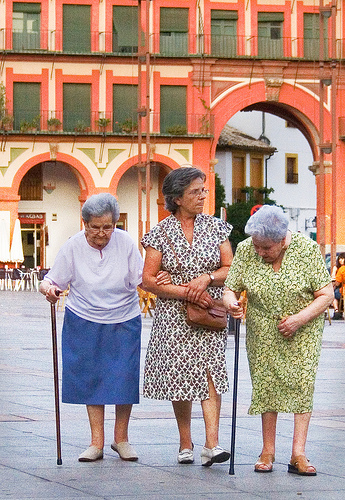 Seniors enjoy traveling, seeing the world, and changing up the daily routine as much as the rest of us. Though they might move more slowly than they once did, that is no reason not to get out and enjoy the sites and experiences the world has to offer! Vacations with loved ones are a unique opportunity for seniors to spend solid, quality time with children and grandchildren for more than an afternoon at a time and without the distractions of school and work commitments. Traveling with the seniors in your life truly is a unique and special experience, so here are a few things to keep in mind to make traveling together that much more enjoyable. You may be used to a fast-paced vacation where you line up back-to-back activities, or walk for hours on hikes or through museums. That kind of a schedule is not conducive to traveling with the elderly but that doesn’t mean you’ll get less out of your trip. Seniors tend to move more slowly, need more time between activities to rest and won’t enjoy walking as far or as quickly as you might be used to. If you plan your schedule with that in mind, there is no reason to feel restricted. For example, instead of choosing a huge museum and only making it to a few exhibits, try a ferry ride where you can get the full experience without the physical strain. Other activities that are slower-paced or require less walking but still make vacation fun and special are guided bus tours available in all major tourist cities, and shows such as circuses, plays, magic shows and stand-up comedy. Alternatively, if you really do want to incorporate a museum, amusement park, or similar activity into your trip, look into the option of borrowing or renting a wheel chair on site to make it easier for everyone to stay together. Turn meal times into an easy, fun activity by making reservations in restaurants that make meals an experience such as restaurants with live music, live shows during dinner, restaurants with over-the-top décor such as The Rainforest Café or Hard Rock Café, or restaurants where the food is prepared right in front of you (often Japanese cuisine). When traveling with seniors, keep in mind their medication schedule and other needs like whether they may prefer to use a wheel chair to make a connecting flight in the airport. By thinking about and planning for these needs ahead of time, you ensure that they don’t feel like a burden and that the whole experience flows more smoothly for everyone. In addition, consider whether a traveling home care aide is available to help! Don’t forget that traveling with seniors may entitle them or even the whole group to discounts or to cut lines at certain venues! Call ahead to each activity you plan on participating in to ask about senior accommodations – not all offers will be advertised and sometimes you have to ask. Check with airlines about senior discounts on plane tickets. Find out whether the senior traveling companions’ AARP card will entitle them to relevant discounts and always ask for the senior rate at movie theaters and on public transportation. Most importantly, take lots of pictures and have fun!